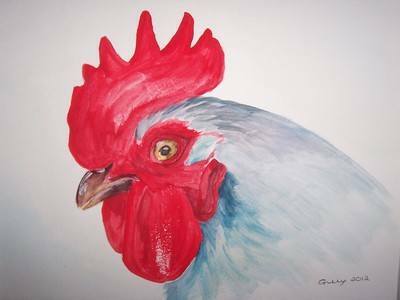 This handsome fellow runs with a pair of pekin hens. He is by far the smallest cockerel on the holding but one of the noisiest! Original Watercolour mounted and framed in a plain wooden frame and measures 40cms x 40cms.